These are the last days and rites of Derek Jeter. The sainted captain enters his final weekend with a career-worst .253 batting average, .301 on-base percentage and .309 slugging percentage. He is hitting .205/.259/.295 in September, including a 0-for-28 stretch in the middle of the month, during what used to be a pennant race. The Yankees will miss the playoffs in consecutive seasons for the first time since 1993. The team has worn Jeter’s No. 2 on its uniforms and caps since Sept. 7, yielding speculation that he had died along with his strike zone judgment. It is easier to measure Jeter the ballplayer. But it is a divisive exercise, an example of the holy war between advanced metrics and traditional statistics, often accented by the unreliable eye test. After the 2007 season, Yankees general manager Brian Cashman told Jeter that his defense was hurting the team, which was something he had never heard from anyone inside the organization. That winter, Jeter worked on his lateral movement with a new fitness trainer. He improved in 2008 and was slightly above average in 2009. The following season, he was 36 years old and in decline. The counter argument is a bunch of subjective nonsense and anecdotal highlights — his five Gold Glove awards, his odd jump throw, “the flip” assist against the Athletics in the 2001 ALDS and “the dive” into the stands against the Red Sox in 2004. But Jeter could play. He was the best position player in the league in 1999, when he hit .349/.438/.552 with 24 home runs, 102 RBIs and 134 runs, although most analysts said Pedro Martinez should have won the MVP award. Jeter should have won the award in 2006, when he hit .343/.417/.483 with 14 home runs, 97 RBIs, 118 runs and 34 stolen bases. He was among the top 10 players in the league four other times. He is sixth all-time with 3,461 hits and 10th all-time with 1,922 runs. He was an excellent base runner, with 358 stolen bases in 455 attempts (78.6 percent). Jeter played during the Golden Age of shortstops, when the position was dominated by big, athletic hitters like himself, Alex Rodriguez, Nomar Garciaparra, Miguel Tejada, Hanley Ramirez and Troy Tulowitzki — the descendants of Cal Ripken. Jeter and Rodriguez are forever linked — both played their first full season in 1996, and they were teammates from 2004 until last season. But there is no comparison between them. Rodriguez was the best player in the league seven times and among the top 10 in three other seasons. He is fifth all-time with 654 home runs, sixth all-time with 1,969 RBIs and 11th all-time with 1,919 runs. He had 322 stolen bases in 398 attempts (80.9 percent). Rodriguez was, of course, the better fielder. But when the Yankees acquired Rodriguez, they moved him to third base. Jeter didn’t volunteer to change positions. Often, the sainted captain and sainted manager Joe Torre didn’t speak to Rodriguez. Rodriguez admitted to using performance-enhancing drugs in 2009, and he is currently serving a one-year suspension by Major League Baseball for his involvement in last year’s Biogenesis scandal. Tejada admitted to lying about his age in 2009, when he was also charged with lying to Congress about PEDs. He was suspended for 105 games last year for testing positive for amphetamines. Garciaparra played just eight full seasons because of injuries. But Jeter endured. He played shortstop for the New York Yankees for 20 seasons. He remained mostly healthy, playing in 148 or more games in 14 seasons. He helped lead the Yankees to five World Series championships and seven pennants. 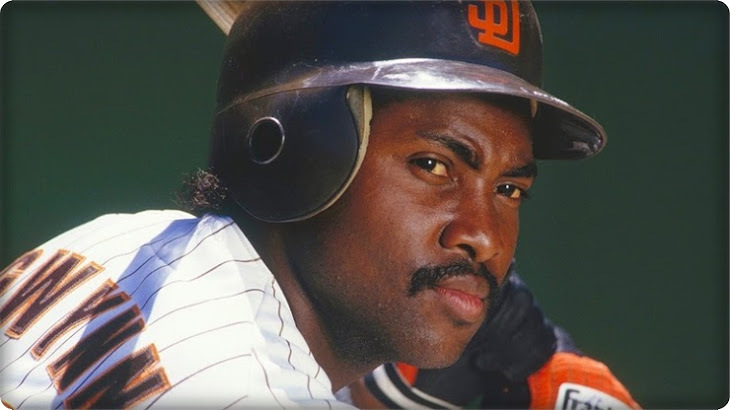 He played in 158 postseason games, hitting .308/.374/.465 with 20 home runs, 111 runs and 200 hits. Oh, but the women. Jeter has dated, in chronological order, Mariah Carey, 2000 Miss Universe Lara Dutta, Joy Enriquez, Jordana Brewster, Vanessa Minnillo, Jessica Alba, Scarlett Johansson (unconfirmed), Vida Guerra, Adriana Lima, Jessica Biel, former fiancé Minka Kelly and Hannah Davis. He has denied reports that he sends his one-night stands home with gift baskets of autographed memorabilia and that he sent one woman home with a repeat gift, because he had forgotten their first time together. This season has been one gift basket full of hagiography for Jeter. The truth is that he is a great player, just not a GREAT player. The Yankees pantheon begins with Babe Ruth, Mickey Mantle, Lou Gehrig, Joe DiMaggio and Yogi Berra, then Jeter leads the next group — Whitey Ford, Mariano Rivera, Don Mattingly, Bill Dickey and Thurman Munson. The best shortstops of all-time are Honus Wagner, Alex Rodriguez, Cal Ripken, Arky Vaughn and Luke Appling. Jeter is somewhere in the mix with Ernie Banks and Robin Yount, who played more games at other positions. Then there is Ozzie Smith, Barry Larkin and Lou Boudreau. It is not Derek Jeter’s fault that he is overrated. It is not Jeter’s fault that Cashman didn’t tell him about his poor defense until he was 33 years old. It is not his fault that Yankees fans don’t remember Ruth, Mantle or even Munson. But that overwrought Nike commercial with everyone, including Red Sox fans, tipping their cap and that saccharine Gatorade commercial backed by Frank Sinatra’s “My Way,” Jeter has to be accountable for those.